Summer is almost here and I didn't post a Spring card! Holy smokes time flies! I have been busy! Plenty has been happening in my life at this time, but I'm working through it and it's all smiles! I took my card home and embellished on what I had started. 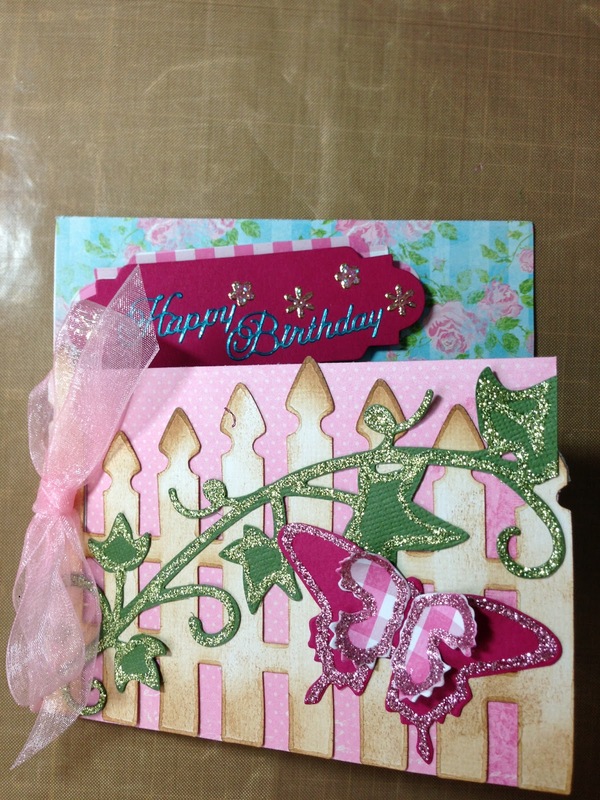 I added Bo Bunny paper (double-sided) to the back of the fence and the inside of the card. The fence, ivy and butterflies are brand newdie cuts from Sizzix and embellished with Stickles and Viva Decor Pearl Pen. The fence was stippled with Old Paper Distress ink, darker on top and bottom and lighter in the middle. 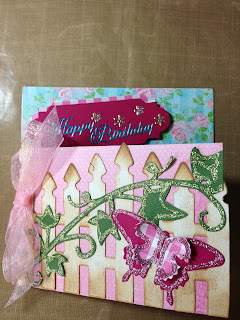 The pink organza ribbon was from my stash. 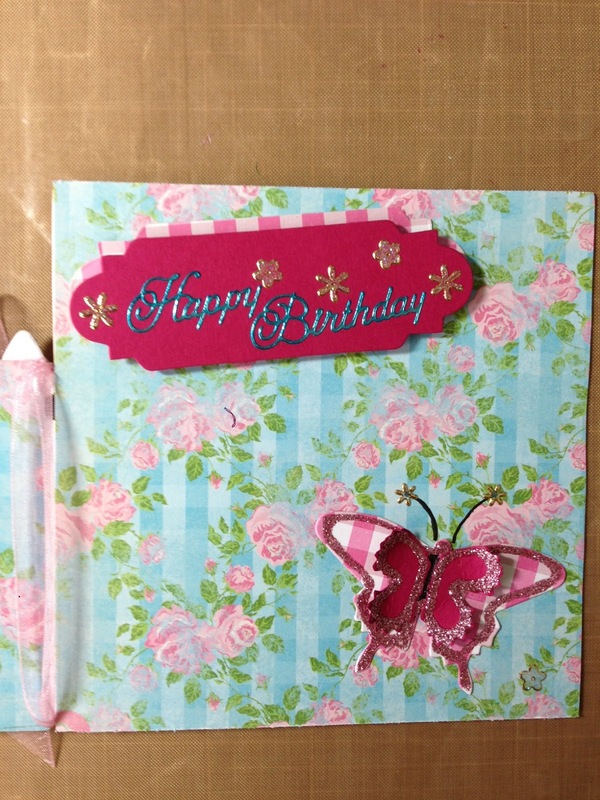 The little flowers and sentiment were from Elizabeth Craft Designs peel off collection. It was a fairly easy card to put together. If you desire to buy the same beautiful papers and embellishments I used, please call Stacey and the SMS girls at 661-298-1112. My next card will be from across the sea..........that is, my card design. 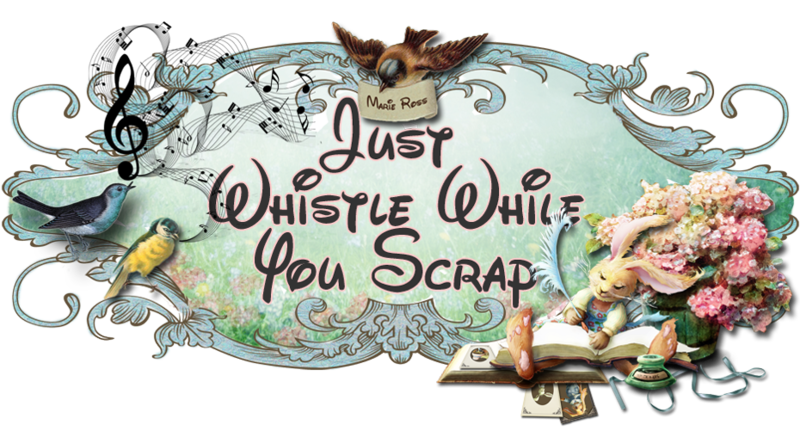 Enjoy your day and scrap it! I love what you did with a fairly simple card. I have been looking at mine and trying to come up with something to dress it up. I guess you got to SMS later in the day. I was there early. I am feeling much better, the cough is slowly going away. So, maybe we can get together next week with the Cameo.